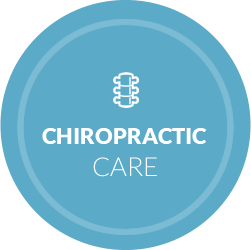 Since 1990, Chiropractor Dr. Merle Helgeson has been caring for patients naturally with effective chiropractic care. A wide array of techniques are at his disposal, ensuring you get customized care to best meet your needs. Call now! Dr. Merle Helgeson Welcomes You! Patients of every age can benefit from our drug-free and effective chiropractic care. We see families, athletes from amateurs to professionals, and those who have been in auto accidents and workers compensation injuries. 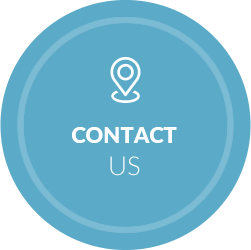 While it's always our goal to get you out of pain as quickly as possible, it's also our desire to educate you on the long-term benefits of chiropractic care. people get well,” he says. The wonderful thing about chiropractic is the multitude of health conditions it is able to address as it frees the nervous system from interference. We have a successful history of treating headaches, neck pain, low back pain, allergies, ear infections, extremities and whiplash. Ever felt rushed at another practitioner’s office? Perhaps you’ve felt that you weren’t given adequate time to discuss your concerns. At our practice, Dr. Merle Helgeson, who is caring and compassionate, takes the time to thoroughly listen to your needs and honor your health goals. He will provide you with exceptional chiropractic care, getting you the results you desire. When you’re in pain, you will want to be seen as soon as possible. We offer patients convenient appointments and it is our commitment to you that we will value your time and keep your wait time to a minimum. Dr. Merle Helgeson provides gentle, efficient, thorough and focused care. On-site X-rays are also available for your convenience. Discover how fantastic you can feel with natural chiropractic care. Contact us today to book an appointment with Chiropractor Crescent Springs Dr. Merle Helgeson! Highly recommend Dr. Merle! Best chiropractor in town! Dr. Merle helped me get through the newborn stage without pulling out my hair! After just a few adjustments my son’s colic diminished so much he started sleeping through the night! He’s a miracle worker! Dr. Merle is professional, knowledgeable, and most importantly, caring. The compassion he exhibits for his patients is truly remarkable!